According to common legend the city of lakes or Udaipur was established by Maharana Udai Singhji after he was advised by a hermit to do so. It is believed that Udai Singhji was on one of his hunting tours when he had an encounter with a meditating hermit on the banks of the Lake Pichola who inspired him to establish the city of Udaipur in the midst of a valley surrounded by the Aravali hills and ornamented with three massive lakes. The royal Sisodia’s reigned supreme in Udaipur that became the capital city of the state of Mewar after the fall of Chittorgarh. Sisodia’s are believed to be the oldest ruling family in Rajasthan and can trace their lineage for more than 67 generations. 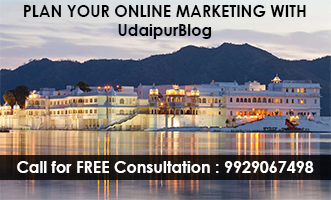 Udaipur is quite like a fairy tale destination with its pure marble forts and palaces, lakes, pavilions and gardens. A favorite haunt with newly weds, Udaipur is soaked in a dreamy romantic mist that is full of sweet promises. The land of the brave Rana Pratap and Rana Sanga, Udaipur has seen many a battle that was fought for the valor and pride of the proud Sisodia Rajputs. Several women from the royal house of Mewar were married of to Mughal rulers for promoting political relations. After the death of Udai Singh, his valiant son Maharana Pratap took over the royal throne and was engaged in constant power skirmishes with the Mughals with an aim to recapture the erstwhile capital of Mewar, Chittor.